At age nine his family joined the tail-end of the Okie exodus that followed the dust bowl trail to California but each year Fred returned to Oklahoma where he spent summers with his grandparents in their art-filled home. His grandfather a celebrated civil industrial engineer in Ponca City would take his family frequently to nearby museums. Fred was awe struck by Bryant Bakers Pioneer Woman monument in Ponca City. Although he did not realize it then, Fred’s fate as a future artist had been cast. He had an active imagination and a God given talent for drawing. In the 50’s while living in California Fred learned to handle horses, to rope cattle and build saddles. He was a cowboy, determined someday to break loose and be free. For more than a dozen years Fred’s dream of becoming cowboy-free was hobbled. Fred was able to realize his ambition to become a full time artists but not without challenges. With his wife Jackie and collectively five children, early on he traded his paintings for groceries and doctor bills. By the late 60’s he had established a sound regional reputation and was breaking into the mainstream market in places like Scottsdale, Arizona. In 2007 he received the CAA Award for the best overall exhibition voted on by all of the active CAA members. 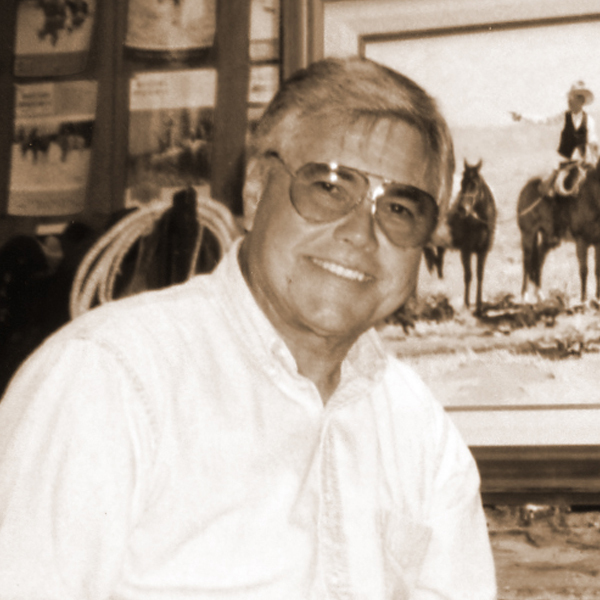 His paintings have been featured on the cover of 17 issues of the Western Horseman Magazine as well as articles in Arizona Highways, Newsweek, Southwest Art, Art of the Rockies and Western Art Collector.